Abbas spokesman says Palestinians will thwart any American initiative that is contrary to their positions. 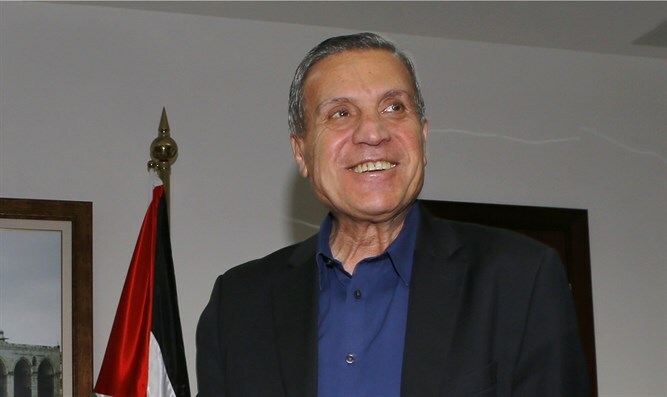 Nabil Abu Rudeineh, the official spokesman of Palestinian Authority (PA) chairman Mahmoud Abbas, said on Monday that the Palestinian people and their leadership will never recognize the legitimacy of any U.S. initiative that seeks to separate Gaza from PA-assigned areas of Judea and Samaria under the banner of humanitarian aid to Gaza. Abu Rudeineh’s comments were made in response to reports about ideas related to the "Deal of the Century," the name given to the Trump administration’s plan for peace between Israel and the PA. In this context, the spokesman warned against cooperation with any measures aimed at circumventing the Palestinian national enterprise, separating Gaza from Judea and Samaria and relinquishing Jerusalem and its holy sites. "The Palestinian leadership reiterates its confidence in the ability of our people, with the support of the Arab brothers and the free people around the world, to thwart all plans and schemes aimed at eliminating the Palestinian issue," said Abu Rudeineh. He added that Abbas’ policy is clear and stable, and it states there will be no state in Gaza and no state without Gaza. He also said there is a Palestinian, Arab and international consensus on this. Abu Rudeineh’s comments come ahead of a visit to the region by Jared Kushner, President Donald Trump’s son-in-law and senior adviser, and Jason Greenblatt, the president’s special envoy. The two are scheduled to speak with the leaders of Qatar, Saudi Arabia, Egypt, Jordan and Israel. A report in Haaretz on Sunday said they would try to convince Arab monarchies in the Gulf to invest hundreds of millions of dollars in economic projects in Gaza, in an attempt to calm the security situation in the coastal enclave and generate momentum before the White House presents its Middle East peace plan. Due to the boycott by Abbas, Kushner and Greenblatt are not scheduled to visit Ramallah during their trip.